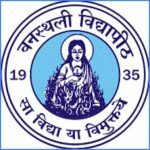 VGU Admission 2019 Registration has been Started now. VGU is commonly known as Vivekananda Global University will be responsible for conducts an admission procedure with a purpose to offer admission to the capable applicants in different courses offered in the university. It is one of the private university located in Jaipur, Rajasthan, India. 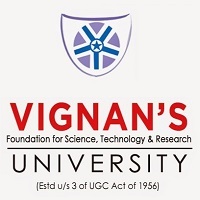 The admission procedure is known as VGU Admission 2019 and will be organized every year. Applicants who are interested in getting admission in different courses in the field of engineering, architecture, basic and applied science, management, law, and agriculture needs to appear for the admission procedure conducted by the official authorities. Applicants will get admission in the university on the basis of the scores achieved by them in the past national level entrance exam or academic scores. VGU Admission 2019 Registration has been Started now. Click here to Check Application Details. VGU Admission 2019 Registration has been Started now. The university conducts admission procedure for the applicants and applicants who want to appear for the admission procedure needs to appear for the counseling round. As official authorities do not organize any separate entrance exam for the applicants but the counseling session will decide that the applicant will get admission to the institution. Official authorities will provide admission to the applicants on the basis of the performance in the counseling round. Applicants need to register themselves on the official website of the university in the month of May 2019 in online mode in order to participate in the counseling round. Applicants need to fill some necessary details like personal details, academic details and some details of the course and college according to their preference at the time of registration in the registration form and also upload some necessary documents. After that applicant are instructed to pay the registration fee and take a printout of the duly filled registration form and they submit the duly filled registration form. Applicants need to pay Rs 1000/- as registration fee for the admission procedure which will be nonrefundable. Applicants need to pay the Registration fee in online mode that is by debit card, credit card or net banking. In order to get admission, it is important that one must have completed HSC exams from a recognized board or university. Minimum 45% marks (40% marks in case of reserved category applicants) in the qualifying exams should be scored by the applicant. Appearing Applicants are also eligible to appear for the admission procedure. JEE Main entrance exam qualified applicants are eligible to get admission. HSC, a level, IB, American 12th grade or any equivalent exam from a recognized board or institute must be completed by the applicant in order to get admission. One should score Minimum 45% marks or above in the qualifying exam. One who holds a valid scorecard of CLAT/LSAT entrance exam is also eligible to get admission. 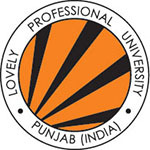 Graduation or any equivalent degree must be completed from a recognized university in order to get admission in the university with minimum 55 % marks. B. Sc. in agriculture or any relevant subject with more than 55% marks achieved from a recognized university should be completed. Applicants who want to get admission in different undergraduate and postgraduate courses need to appear for the admission procedure conducted by the official authorities. Official authorities will conduct the admission procedure and will provide Admission to the applicants on the basis of the marks secured by them in any other national level entrance exam or the HSC exams as the university does not organize any separate entrance exam. However, those applicants are also eligible to get admission in B.Tech course who hold a valid scorecard of JEE Main entrance exam. A merit list prepared by the official authorities will be released for the reference of the applicants in online mode on the official website of the university. On the basis of the merit list which will be prepared separately for each course, authorities will provide seats to the eligible applicants in the university. However, the merit list will be prepared on the basis of the marks secured by the applicants in the past qualifying exam as well as in the other national exams. Applicants who find their name in the merit list are instructed to appear for the counseling round according to the scheduled date and time. Applicants need to register themselves on the website in order to participate in the counseling round and get admission. Counseling round and seat allotment procedure will be conducted in the university itself in offline mode on the official website for the applicants. Applicants need to pay the counseling fee which will be Rs 11800/- by cash in the counseling session. Applicants will get admission in the counseling session once the documents are successfully verified. For any other queries about VGU Admission 2019, you can leave your queries below in the comment box.